Thousands of Berliners come to Tempelhof on warm summer evenings, but there's always room for more. 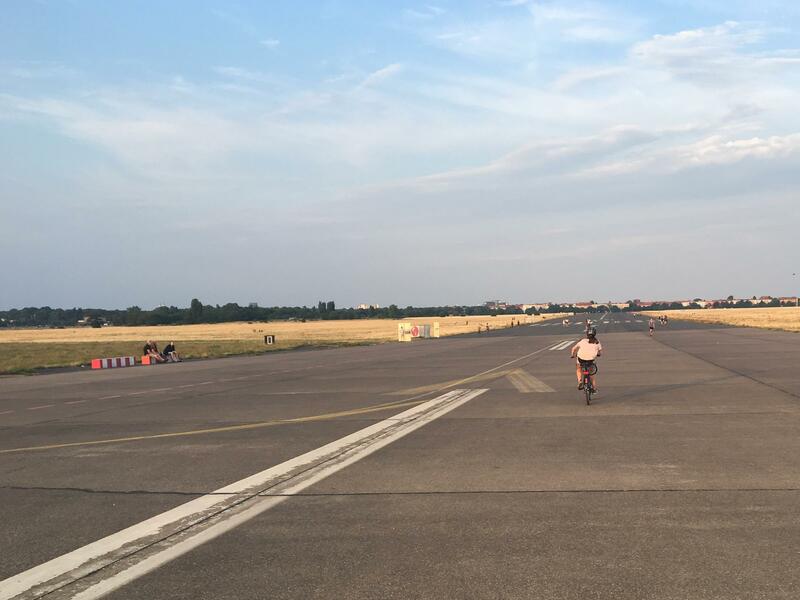 Riding to the end of one of Tempelhof's former runways is a serious workout. 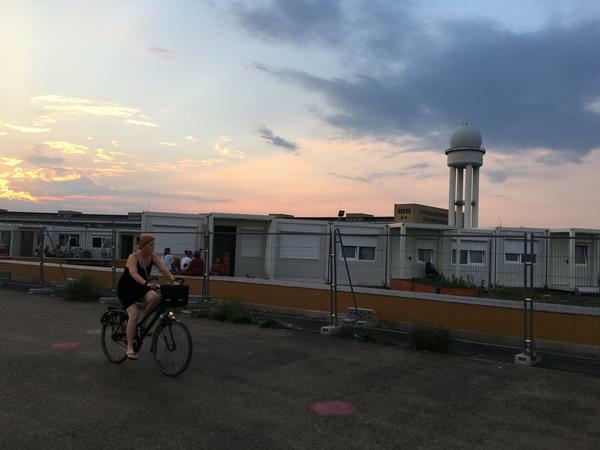 Modular homes for refugees, erected recently in one corner of Tempelhof Field. Tempelhof was the site of early experiments in aviation. 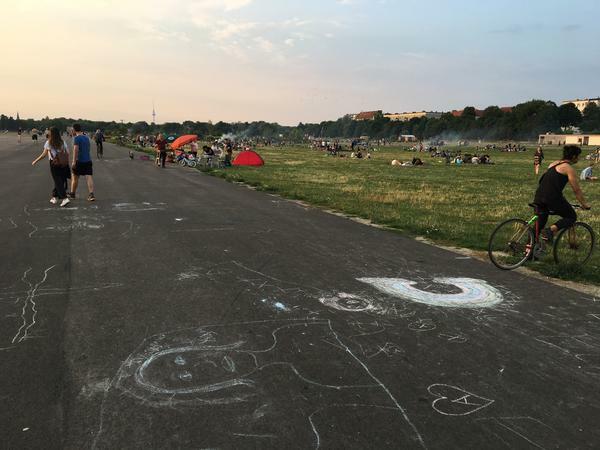 It was expanded in the Nazi era, and was the site of a forced labor camp. After the war, it was both a U.S. air base and a civilian airport. It's peak tourist season in Yosemite National Park, but the most popular spot has been quiet for nearly three weeks. In Yosemite Valley, there are no climbers on its cliffs, no people on its trails. Smoke from the nearby Ferguson fire shut down parts of the park in late July. And now, officials say it will reopen on Tuesday. Capital Public Radio's Ezra David Romero reports on what fire means for Yosemite. EZRA DAVID ROMERO, BYLINE: The plan this weekend is to keep the fire out of Yosemite Valley. Firefighters are working to contain the blaze about three miles away, says Forest Service Planning Officer Johnny Clem. JOHNNY CLEM: Yosemite Valley is absolutely gorgeous, and we would prefer it to be green and not black. ROMERO: Fire began almost a month ago in an area that hadn't burned in decades. This spring, officials said they expected a big blaze. ROMERO: That's when I met Leroy Westerling in Yosemite Valley. He's a professor at the University of California, Merced. LEROY WESTERLING: This is actually one of my favorite places. ROMERO: We're hiking in an area near Lower Yosemite Fall - one of the park's busiest selfie spots. Dead pine trees are all around us. WESTERLING: And we're looking at some pretty dense, brushy sort of oak coming up here, with cedars and some dead pine trees. ROMERO: Westerling studies the connection between climate change and fire in the Sierra Nevada. And he's focusing some 500 years into the future. Will Yosemite be colder, warmer or a lot hotter? Some of his predictions suggest little to no change. But the most extreme depicting Yosemite some people might not like. WESTERLING: In the valley where we are today, I think this is more oak woodland kind of landscape. 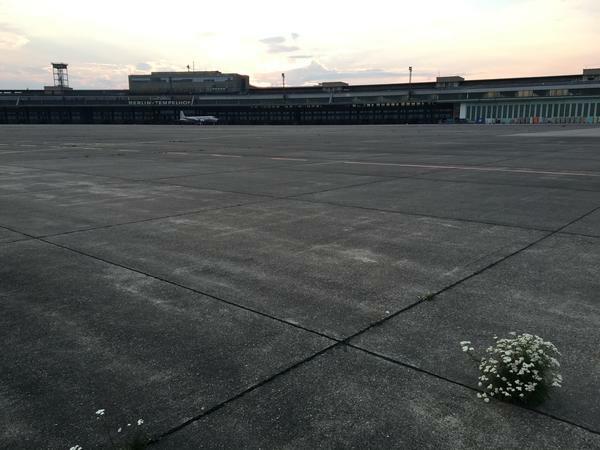 It'll still be a beautiful place to visit, but it won't look like this. ROMERO: It's a dramatic change for a place idolised as a lush pine forest. What would people think if the rich, green views of Yosemite Valley were replaced with dry grass, shrubs and oaks? The Ferguson fire is largely due to overgrown brush and dead pine trees. That was exacerbated with California's most recent drought killing more than 129 million trees. To deal with all this die-off, Yosemite's Fire Chief, Kelly Martin, says park and forest managers need to change the way they think about fire. KELLY MARTIN: We need to be an advocate for good fires on the landscape to prevent these big fires in the future. ROMERO: Martin's talking about lighting fires on purpose during cooler months. That's called a prescribed burn. This idea might sound odd in the middle of fire season. But Martin says this tool could greatly reduce how big fires grow. MARTIN: I love watching how fire is a renewal agent. It's not just a destructive agent. ROMERO: Martin thinks of Yosemite like a patchwork quilt with only some finished pieces. Those are the areas that have already burned the missing patches are the places with the highest fire risk. She wants to connect those by burying them in a controlled way. It's a practice that she says needs better funding. MARTIN: We're just storm chasers to these great, big wildfires which is almost $3 billion a year. And the prescribed fire program might only get a tenth of that money nationwide. ROMERO: Even though this idea scares some people who live in forested areas, Martin says if they really want the valley to remain mostly green and lush, they're going to have to be alright with it. For NPR News, I'm Ezra David Romero. Transcript provided by NPR, Copyright NPR.